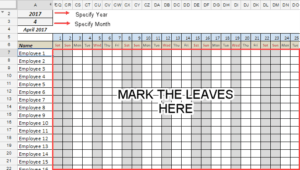 Google Sheets has some great date related formulas that can come in handy in many situations. 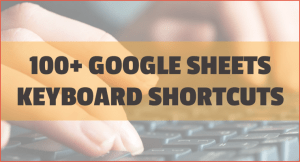 In this tutorial, I will show you how to calculate someone’s age in Google Sheets using their date of birth. 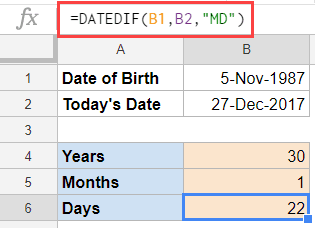 This can easily be done using the DATEDIF function in Google Sheets. 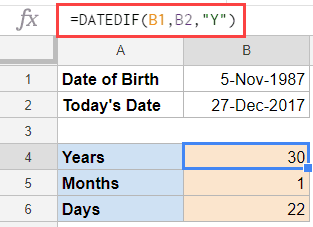 The way Google Sheets calculate age is by using the date of birth and the current date. 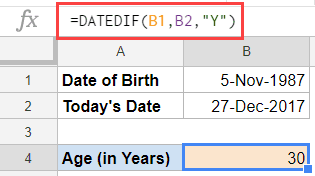 Let’s see how to use formulas in Google Sheets to calculate age value. 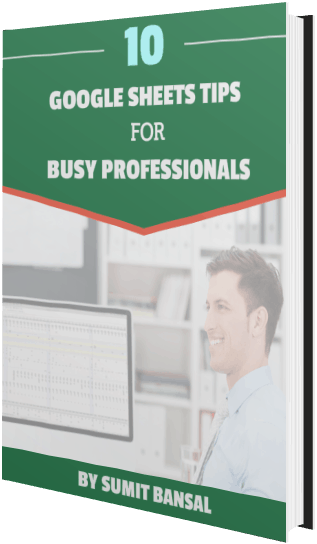 You can also use this technique to calculate the time taken by projects or tenure of someone’s service based on their joining date and retirement date. If you want to calculate not only the number of years but also the number of months and days, then we need to use a slightly longer version of the DATEDIF formula. 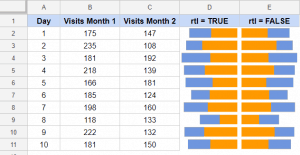 Let’s first see how to get the individual parts of the result (i.e., the year, month and day value). 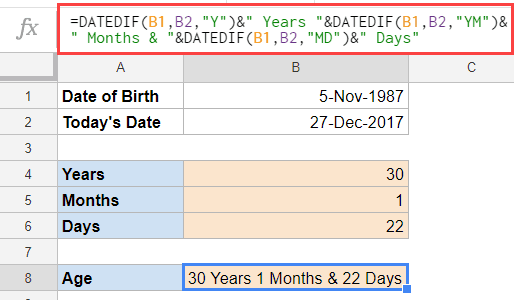 =DATEDIF(B1,B2,"Y")&" Years "&DATEDIF(B1,B2,"YM")&" Months & "&DATEDIF(B1,B2,"MD")&" Days"
As mentioned, you can also use this technique to find the project duration. For example, below I have used a similar formula to show how many years, months, and days each project activity would take to complete. 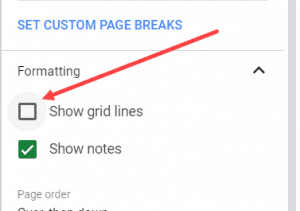 Using FILTER Function in Google Sheets.